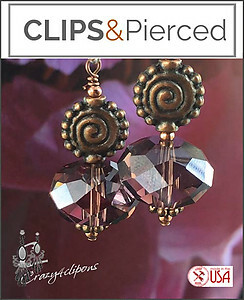 Features: Generous crystal rondelles (14mm) are paired with rich antiqued copper for this beautiful earring design. Perfect for the season. Available as Pierced too.